Flavio Azevedo, Peggy Martalock and Tugba Keser challenge the ‘argumentation focus of science lessons’ and propose that through a ‘design-based approach’ emergent conversations with the teacher offer possibilities for different types of discussions to enhance pedagogical discourse in science classrooms. This important paper offers a “preliminary contribution to a general theory” regarding the link between activity types and discourse practices. Azevedo, Martalock and Keser offer a general perspective with a sociocultural framing for analysis of classroom discourse. Interestingly the specific concepts drawn upon are from conversation analysis; there are few sociocultural concepts explored in detail. Therefore, in this article we focus on a cultural historical (Vygotsky in The collected works of L. S. Vygotsky. The history and development of higher mental functions, vol 4. Plenum Press, New York, 1987; The Vygotsky reader. Black, Cambridge, 1994) methodology to explore, analyse and explain how we would use a different theoretical lens. We argue that a cultural historical reading of argumentation in science lessons and design based activity will expand Azevedo, Martalock and Keser’s proposed general theory of activity types and discourse practices. Specifically, we use Lev Vygotksy’s idea of perezhivanie as the unit of analysis to reconceptualise this important paper. We focus on the holistic category of students’ emotional experience through discourse while developing scientific awareness. Forum: This review essay addresses Flavio Azevedo, Peggy Martalock and Tugba Keser’s paper entitled: The discourse of design-based science classroom activities. We wish to acknowledge with thanks the help and guidance of Professor Marilyn Fleer and acknowledge the monthly Dialectical Logic Learning Space (DLSS) reading group conversations led expertly by A/Professor Nikolai Veresov, which have been instrumental in guiding our understanding of perezhivanie as a concept. McNeill, K., & Pimental, D. (2009). 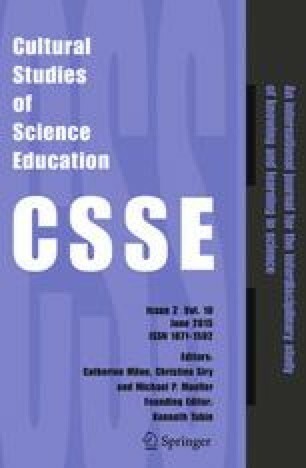 Scientific discourse in three urban classrooms: The role of the teacher in engaging high school students in argumentation. Interscience, 94, 203–209. doi: 10.1002/20364.